There’s a myriad mystery and misinformation about heel spurs. Just the thought alone of having a hard protruding growth on the bottom of the heel is more than a little alarming — but really, it needn’t be. “A heel spur is a small bony growth at the underside of the heel bone. People call it a spur or a calcification. 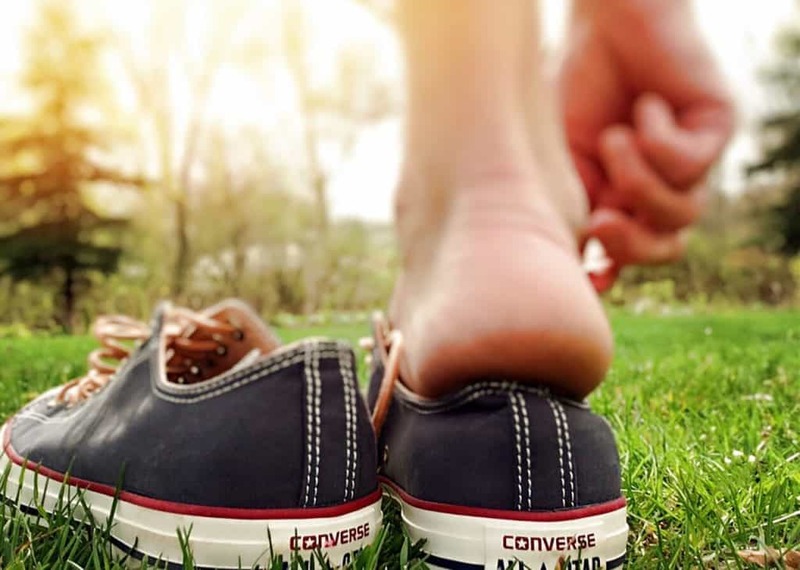 We might also call it an exostosis (a benign outgrowth of cartilaginous tissue),” explains sports podiatrist and founder of A Step Ahead Foot + Ankle Care Dr Brenden Brown. “Heel spurs are incredibly common. I see it in about 40-50% of the x-rays I perform. “However, the vast majority of people with heel spurs experience NO PAIN whatsoever. “In all of the time I have been a podiatrist (which is 20 plus years) I have seen two symptomatic heel spurs. I’ve seen lots of heel spurs but only two that have ever presented with associated pain. 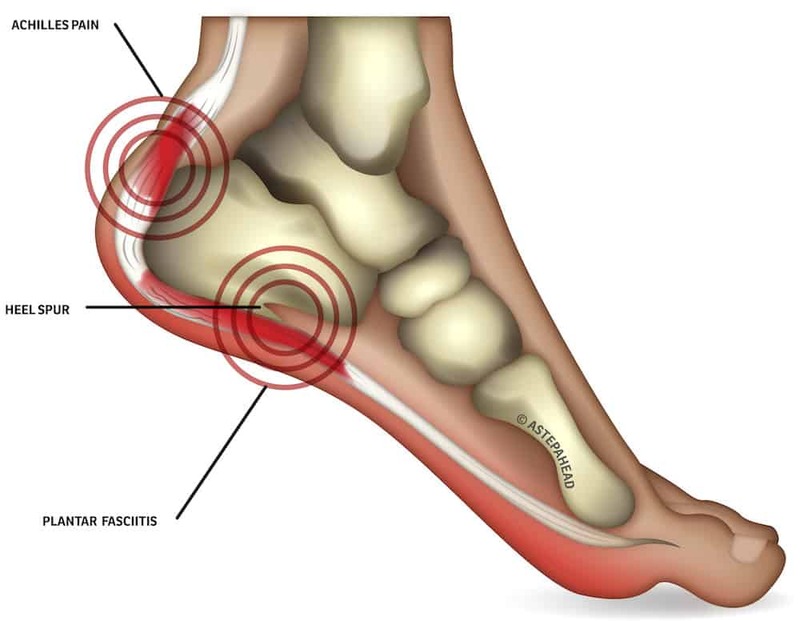 “So if we talk about the signs of symptoms of heel spurs there aren’t really any apart from having a large bony or hard nodule on the underside of the heel pad that doesn’t feel the same as the other foot and cannot be depressed (pushed or squashed). “99% of people who come to me saying they have pain from a heel spur do not have pain as a result of a spur. In those very rare cases where people do have a heel spur that’s causing them pain—the pain doesn’t come and go. Even if you do have a heel spur, which most of the time is an incidental finding on an x-ray, you don’t need an operation to remove it. For most people cortisone is useless in treating heel pain. In fact, studies have shown that after three months 56% of people who were having cortisone injections for their heel pain had zero reduction in pain. If it’s not a heel spur — what is causing my pain? Heel pain can be caused by a variety of other reasons including: plantar fasciitis, plantar fasciosis, abductor hallucis strain or tibialis posterior tendinosis. 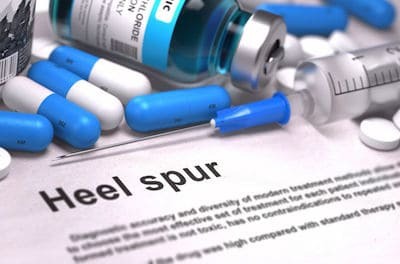 If you are suffering from heel pain, be sure to visit your local podiatrist but don’t be fooled into automatically thinking that it’s a heel spur—it’s highly likely that it’s not! Or, tune into our Facebook page for regular live videos and updates on the latest foot and ankle advice from the experts.